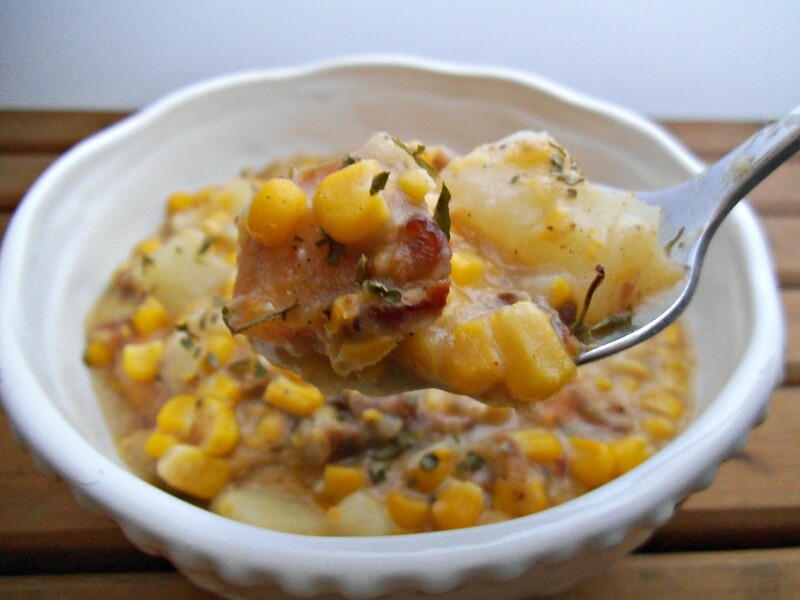 My Lightened Up Corn & Bacon Chowder has so much rich flavor in it, from the smokiness of the bacon, to the sweetness of the corn and sweet potatoes and the kick of paprika and freshly ground black pepper. Sometimes, you just need to have some bacon. Plain and simple. I love to make soups and stews in the winter, so I figured take the bacon and make a soup. Easy enough! Ryan and I recently went for a hike at the Blue Hills Reservation in Milton, MA, which took us close to an hour thanks to the lovely IPhone GPS getting us lost in Mattapan...wonderful. When we finally arrived, it was all worth it. We hiked to the top to take in a beautful sweeping view of the Boston skyline and trekked through the snowy woods in search of a bear. Sadly we never saw one...not even a squirrel. When we finally arrived home, a big bowl of steaming hot soup was just what we needed. With big chunks of potato and chopped up bacon, it sure doesn't sound all that healthy right? I am happy to report this contained no cream or butter, just some skim milk and a little flour. You're welcome. In a large pot, heat oil, garlic, onions, thyme, ½ tsp salt and ¼ tsp pepper until onions soften over medium high heat. Pour broth and milk into pot and whisk frequently until sauce is boiling. In a food processor, pulse 1 cup of soup until combined. Mixture should be a thicker substance. Return to pot. If you want it thicker, pulse another ½ cup of the soup. 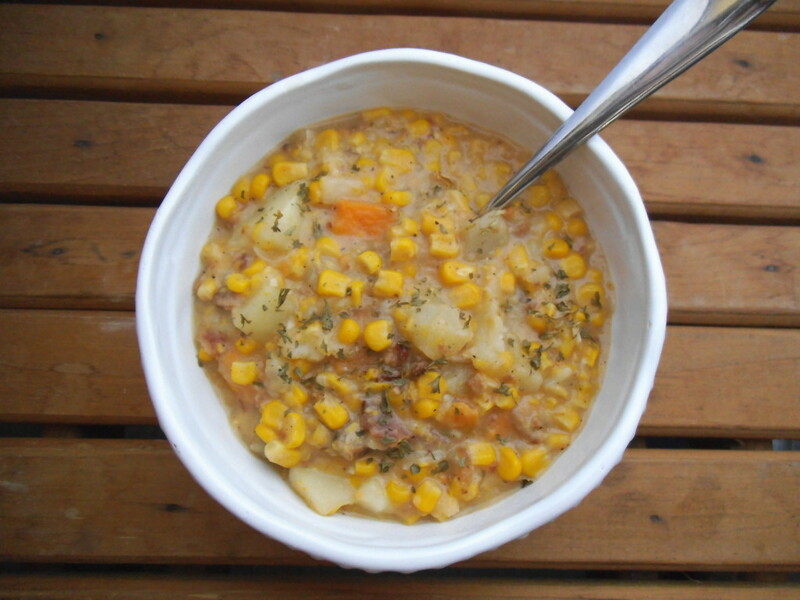 Combine soup again and serve with fresh chives or a little shredded cheese.